The OSD Audio AP650 Outdoor Patio Speaker Pair is the ideal solution for providing all your favorite tunes on a patio, deck or poolside. Designed to withstand all types of weather, they'll perform under the harshest conditions; they're even safe from pool chemicals. 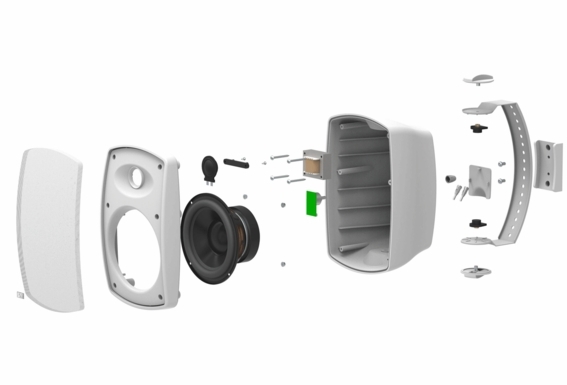 AP650 speakers come with matching mounting brackets that allow for 180-degree swivel and 60 degree tilt, mounted either horizontally or vertically. They feature 150-watt power handling, silicone-sealed internal cabinetry and a 6.5-inch polypropylene woofer. They're guaranteed to sound better than brands with a bigger price tag, as well. 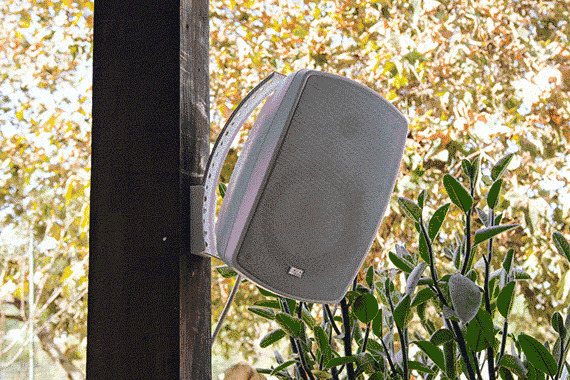 Guaranteed to sound better than much pricier brands, the AP650 patio speaker provides clear, dynamic sound with rich bass for medium open areas. Silk dome tweeters and molded woofers were chosen with the tweeters immune to the weather while delivering smooth “indoor” quality sound. 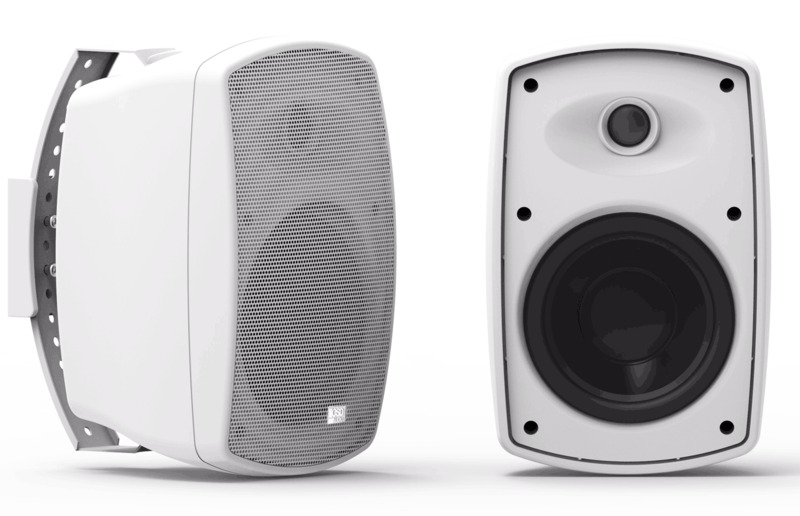 Efficiency and additional 3dB of bass output. 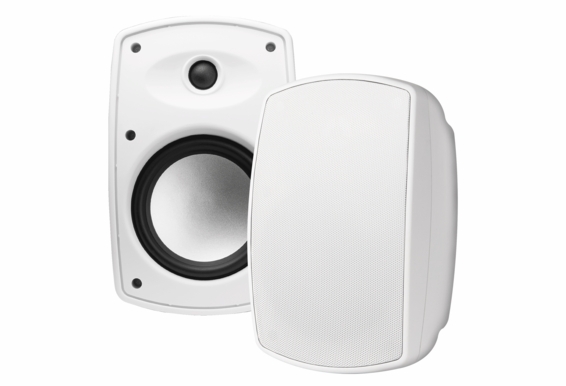 These patio speakers are ideal for medium size patios or outdoor areas (300 to 500 sq.ft), and you’ll hear the build quality for which OSD speakers are famous. For marine use, have a fusion av755 stereo aboard with two Bose speakers in saloon. 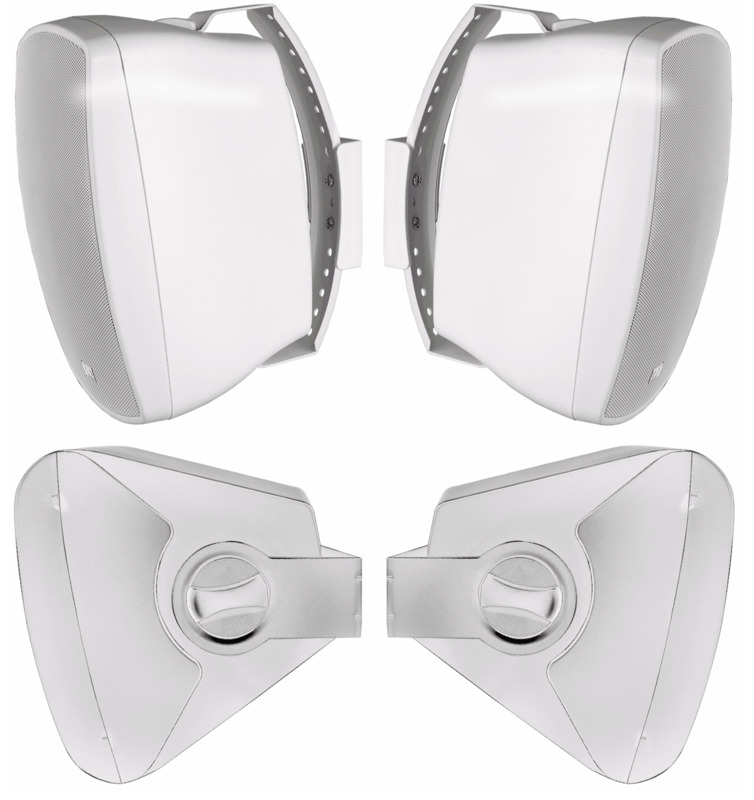 Interested in AP 650 speakers for helm station outside which is protected by a hardtop. Is this a good choice or would you recommend something else. Thanks, appreciate your expertise. I haven't used your product, but I see excellent reviews from satisfied customers. How would you compare the sound of the AP650 to the AP670? 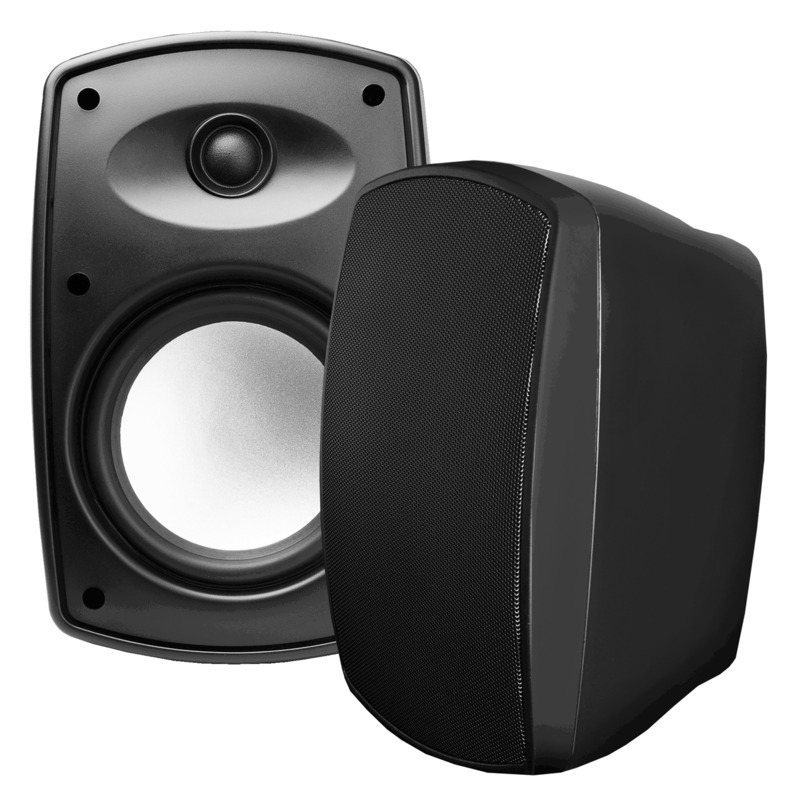 Being a smaller speaker with no ports, can it match the bass capabilities of the AP670? I'm looking for a great value outdoor speaker. I saw good reviews on the AP670, especially about its good bass. The reviews were concerned about the front ports on an outdoor speaker. Then I found this one, the AP650, which seem to be the successor of the AP670 (why the lower model number?). It somehow has lower frequency response (without front ports) and better spec overall. I couldn't find any reviews of this speaker. How would you compare this speaker sound to the AP670? Hi Joe: The AP650 probably should have been renamed AP650MKII. 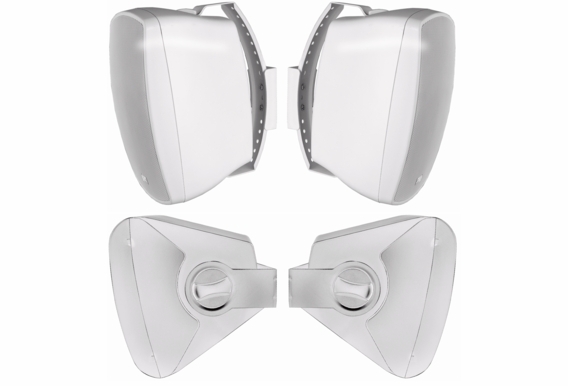 The new design introduced over a year ago with a new Hybrid Cabinet, a unique Mounting Bracket that swivels and tilts, and it is IP:6X certified rating, 100% sealed from Dust. The cabinet is also 2 inches smaller than the AP670. Specs slightly improved as well vs. the AP670 which has been around for more than eight years in its current design. 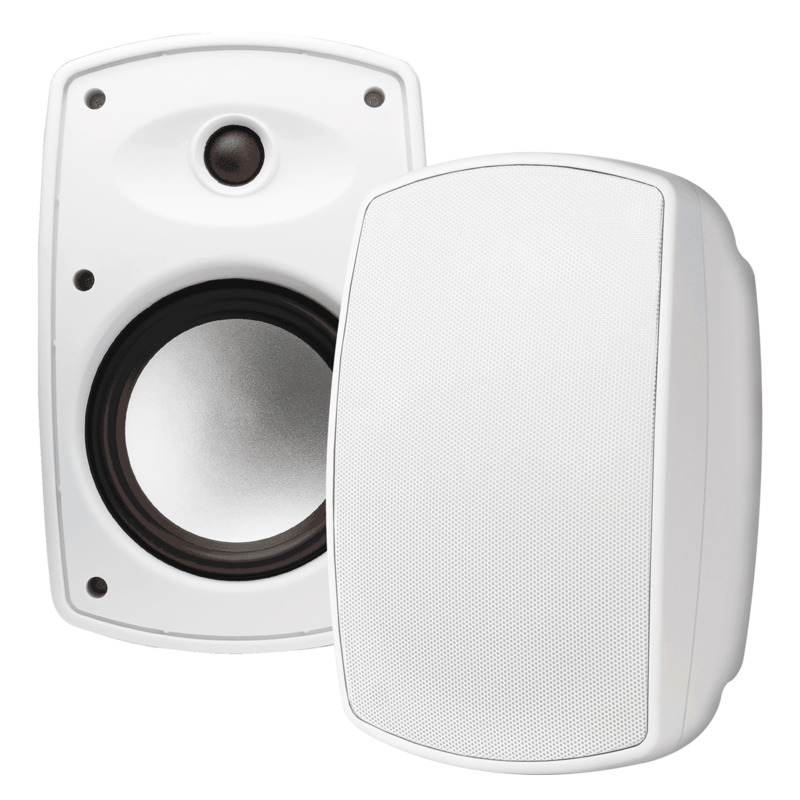 So do not be fooled by the lower number designation since the new AP650 replaced one of our most popular speakers with additional increases in applications and sales. TL/5179 PS: It is also available in a Bluetooth Speaker Kit and a 70V version. I have a Kenwood KR-3060, will these speakers be a good match for my receiver? If not what would you recommend? Are these rated at 150 watts RMS or 150 watts peak? Also, why are there 2 different versions picture of the black pair on your website. One has a white LF cone with and inverted dust cap and the other is standard black LF cone? 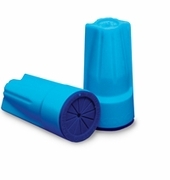 With the pictures for this item, there is both the white woofer cone, and the black woofer cone. What color woofer cone do these come with? What amplifier do you recommend for running four of these speakers at the same time? Ive seen in the speaker comparisons on the OSD website that the 650 has a bass port, however there are no pictures of the back anywhere on your website or online. Are these fully sealed units? Is there a bass port on the back? A picture would be helpful if you can provide. Thanks. I have an Onkyo TX-SR500 Receiver which has connections for 2 sets of speakers - both of which are in use already. What do I need to add to accommodate a third set outdoors? Secondly, the length of the outdoor area is about 60'. Do I need 1 pair or 2 pair of speakers? For the ap650, this page says three different things. A power-coated rust resistant grille, rust proof power-coated grille, and rust proof aluminum grille. Which one is true? I know these have a unique bracket that swivels and tilts. And are these really weather proof, or resistant? And is the hardware stainless steel? Other than the mounting hardware, what is the difference between the 640 and 650? I am interested in the regular 650, not the 70volt version. The owners manual says the 650 is an "Ultra" speaker. What exactly does that mean? Thanks in advance for all input. Are these speakers UL Rated? Is there an IP rating on these speakers? 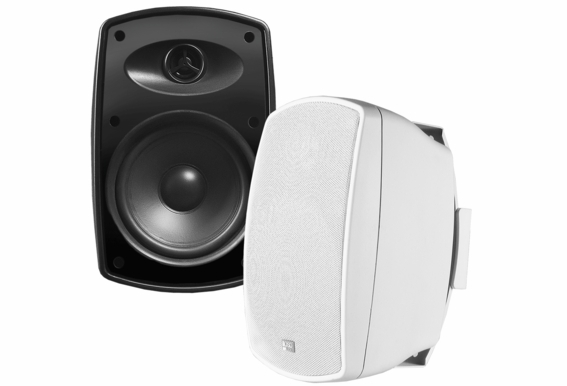 What is the frequency response of these speakers when running them as 70v? I don't need a 70V option; reading the Q&A, it states there is a version of the speaker without the 70 V option. I this true, as I do not see this speaker without the 70 V option?? I am looking at purchasing these speakers to use with my Christmas light display....the company I am purchashing my lighting system from says I need amplified speakers.....are these amplified, or do I need to purchase a separate amplifier? Do the grilles come off the front for cleaning? I WANT TO USE THIS PAIR OUTDOORS, MOUNTED INSIDE A BLOCK RETAINING WALL - POOLSIDE. I HAVE A 100W RECEIVER. #1. CAN THESE SPEAKERS BE MOUNTED IN A WALL, #2 DO I NEED AN AMPLIFIER TO BOOST THE SOUND QUALITY? I WILL BE RUNNING 16 GA. WIRE UNDERGROUND ABOUT 40 FEET FROM THE RECEIVER. I MIGHT WANT TO HAVE 4 SPEAKERS (2 PAIR) OF THESE SPEAKERS. WILL THE REVEIVER (AND MAYBE AN AMP) WORK OK WITH EITHER 2 OR 4? 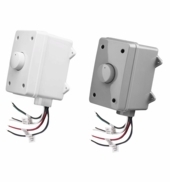 IF THESE CAN'T BE MOUNTED IN A BLOCK WALL, DO YOU HAVE ANY THAT CAN BE MOUNTED IN SUCH A WAY, AND REMAIN SUITABLE OUTDOORS? THE PRODUCT WARRANTY SAYD 1 YEAR, BUT THE SPECS PAGE SAYS YOU STAND BEHIND THEM FOR 5 YEARS. IS THAT TRUE? THANKS. It looks like the recommended mounting is on the vertical plane (i.e. on a wall). Can they be mounted horizontally (i.e. hung from the soffit - eaves)? How would this affect sound dispersion? Hi Randy, Yes - that is fine and won't affect the sound. Is the bass port sealed or sreened to keep bugs and spiders out of the speakers? Hi Kyle, No, the port hole is open, but the grill will keep bugs out. Are the grills and brackets painted or powdercoated? Was looking at replacing outdoor speakers located in corners of covered back porch - pointing out toward pool. Originally looked at the AP840s, but these AP650s seem to be of better sound quality based upon customer feedback and other info on web. I'm looking for white cabinets, but only show in black. Saw comment on page indicating white is available in July. Soon? Also, looking for regular wireless outside speakers to position at back corners of pool - about 100 ft from amp. DO NOT want Bluetooth. Do you still carry anything like that? Hi Rick, Yes - the AP650 white will be available sometime this month I believe. 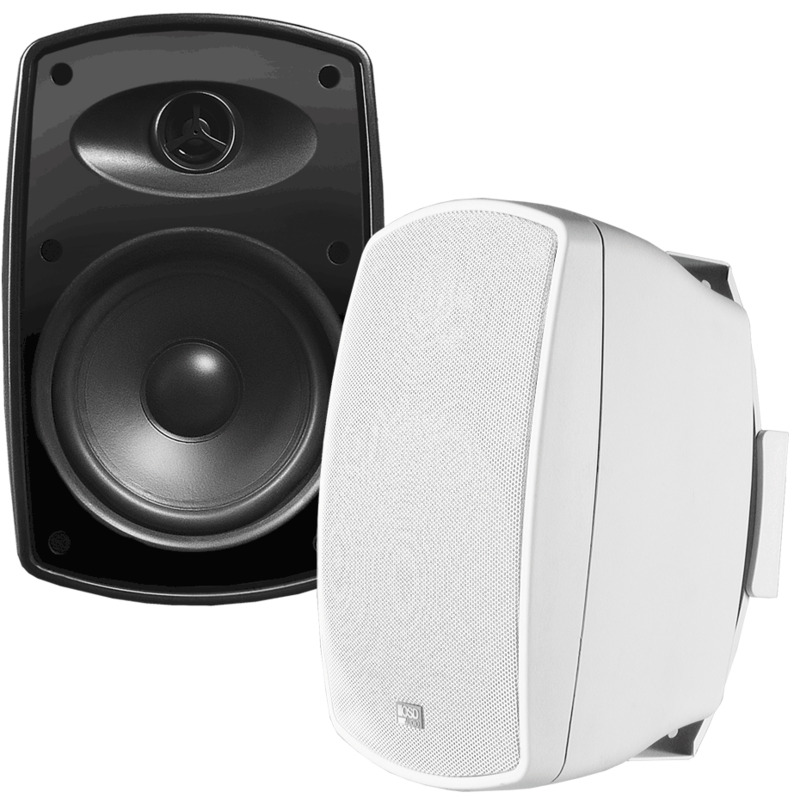 They do have a higher-definition sound than the AP840 but not as much bass response. Still plenty of bass, just not as much as the 8". We only sell Bluetooth wireless speakers now. Do you have the OSD AP650 in white? Also, please tell me if my planned set-up will work: I am planning in hooking up 8 AP650 speakers (4 pairs) to an AMP300 through a SSVC2 Speaker Selector. Since the SSVC2 supports two inputs, I would plug in Zone A of the AMP300 to one input and Zone B to the other input. Thus, 4 speakers will use Zone A of the amp and the other 4 will use Zone B. Will the AMP300 be capable of providing enough power to all 8 speakers simultaneously with this set-up? Thanks for your help! 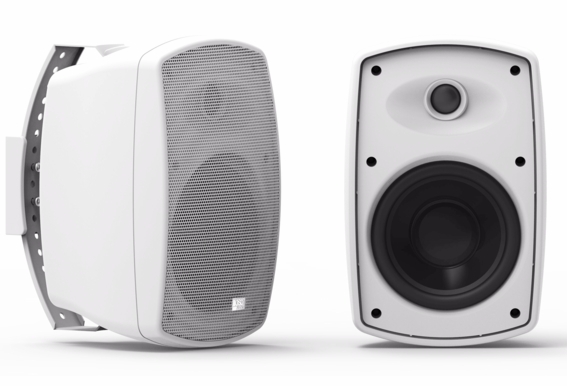 Hi Ricardo, The AP650wht will be back in-stock in July. You will want the SSVC4, not the SSVC2. 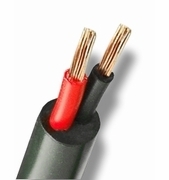 The speaker wires go from the AMP300 to the SSVC2 or SSVC4, not to the speakers. The speakers are wired directly to the speaker selector, thus you are limited to how many zones you have. So the SSVC2 can have 2 pairs of speakers, but the SSVC4 can run 4 pairs of speakers. Running Zone A of the amp in input A and running Zone B of the amp into input B will allow you to send more power through, but not two different sources. So you can have zones 1 and 2 of the SSVC4 set to input A (zone A of the amp) and zones 3 and 4 of the SSVC4 set to input B (zone B of the amp). This will yield more wattage to each speaker since each zone of the AMP300 has independent power. Hope that helps! What kind of speakers can I use for outdoor theatre for the right price? Please help. Thank you. Hi Gimmy, These are the perfect model for outdoor home theater! And you can use the AP650TT for the center channel. They have good bass response and a nice clear, high-def sound. I am looking for outdoor speakers to use as external speakers for my TV. Do these require a seperate amplifier? I prefer to go wireless. Any recommendations for wireless outdoor speakers that will work with my LG TV? Hello Kelly, Yes - the AP650 do require an amplifier to power them. The only wireless option we have available is Bluetooth, which requires a smart device to run from, such as a smartphone, tablet or laptop computer. I'm not sure if a smart TV can connect via Bluetooth...Maybe that's something you can check on your TV. I have a white ap 650 pair and love the sound. I need a black pair for a different spot. Do these come in black? I could not find them on the web site. If not what would be a decent alternative? Do you have in stock the black color 70v? I am thinking of putting 6 of these speakers on a bar i am opening about 850 square feet area, with the AP-150 amp and using the 15w tap. Is this enough? I am looking to purchase some outdoor speakers for a resort pool environment. would these provide a quality sound? 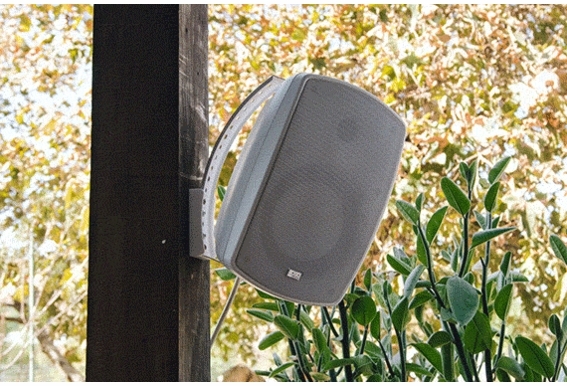 Hi Susanne, Yes - these are our best 6.5" patio speakers and will give you nice bass and clear, high-definition sound. The more protection you give them the less wear and tare. Best to mount under an eave and black will not discolor. Hi Steve, The version with the knob on the back has an optional 70v mode. Same speaker but with that added feature. How are the connectors weather proofed or waterproof? Obviously an overhang would be best, but if I don't have that option and the speakers are in open air, and is facing down, the backside will be taking a lot of water shots. What plugs would I need to get to make sure those connections will stay dry, or free of water? Hi Erwin, It would be best to cover that area in electrical tape or something to protect against water. That portion of the speakers is not protected. What does frequency/response mean. Which is better 65hz- 20 kHz or 37Hz-22kHz. I have this receiver Yamaha rx-v673 https://usa.yamaha.com/products/audio-visual/av-receivers-amps/rx/rx-v673_black_u/?mode=model running my 5.1 living room tv setup. I plan to install 2 patio speakers on the .2 channel. Want to play music through my living room towers in stereo mode and the 2 patio speakers. Will use 12 gauge wire. Will 650's work with my setup or should I go with the 525's? Also, I am confused as to what the 70w option does. Do I need that? 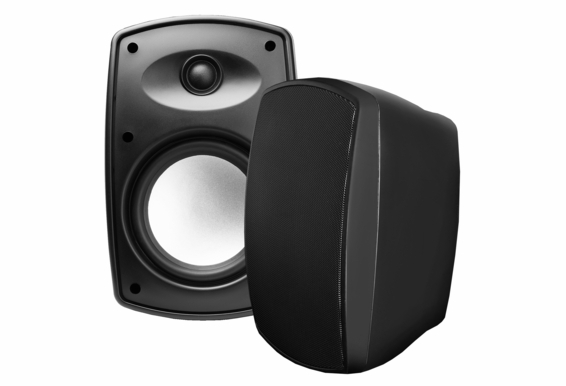 Would a pair of these speakers be better suited powered by a RX-4105, or by an OSD-AMP120? Looking for a setup where the receiver is mounted inside & speakers are outside. Would buy a bluetooth dongle as the source. Music preferences are electronic / bass heavy. Thanks. What's the difference in a V70? Don't know what that means??? The dimensions aren't available. I'd like to come close to a match with the speakers I installed currently. We need more sound at the other end of a long patio. Do these speakers work with the sonos connect amp? Thanks! I need a good quality discreet speaker with an adjustable wall mount system, like these. I want to use them indoors for 2 channel stereo in a multi room system. Anyone used these indoors? If so what's been your experience? Can these be used in a truck/SUV? What amp & power would you use to pair with speakers? What is the weight of this speaker? Our backyard is roughly 50' x 40'. We're torn between the AP650 or the AP840. We want to put rock speakers at the end of the yard facing back towards the house as well. Which ones will work best? Want to have enough sound but also don't want it to look like we took the speakers off an old school stereo system & hung them on house.... HELP! I am planning to purchase a pair of the AP650 outdoor speakers and the Sherwood RX-5502 Stereo receiver from OSD.Are the they compatable? Our back yard is approximately 60ft x 100ft. 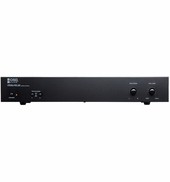 I'm looking at purchasing the AMP 300 so I have plenty of power/room to grow. I'm trying to decide between a pair of AP650's or AP850's. I will be using the zone 2 preamp RCA's from my Denon 3312ci as one input so I assume I will want a volume control unit outside, correct? 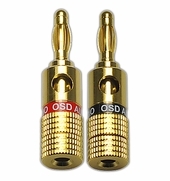 I could always run a second pair of AP650's for the same price as the AP850's. what are your recommendations? What is the recommended amp for one pair of these speakers? I see that the wiring connections are exposed on these speakers with no way to insulate or seal them from moisture, let alone direct rain contact. Is water not an issue for speaker connections? They won't short out the speaker? No danger to the receiver either?